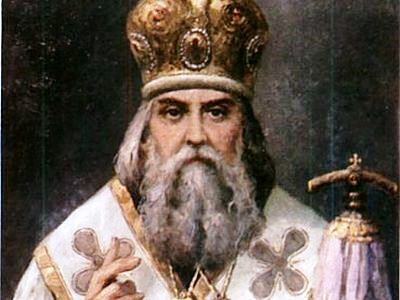 St. Ignatius Brianchaninov (February 15, 1807-April 30 [May 13], 1867) stands out as one of the greatest patristic writers of the nineteenth ce-ntury. 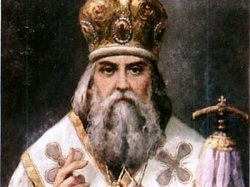 This great Russian saint left to Orthodox Christians a compass by which we can check our direction as we traverse the complex path of spiritual life, to avoid the dark forests and pitfalls of spiritual delusion and pride. On this commemoration day of Holy Hierarch Ignatius Brianchaninov, we have translated some quotes from his ascetical writings. Salvation consists in the restoration of our communion with God. Unhappy is he who is satisfied with his own human righteousness, for he does not need Christ, Who says of Himself: I am not come to call the righteous, but sinners to repentance (Mt. 9:13). There is no such thing as blind happenstance! God rules the world, and all that happens in heaven and under the heavens happens according to the wise and omnipotent God, unfathomable in His wisdom and omnipotence, and unfathomable in His governance. If there is not a single event that is secret from God, then we must glorify God for everything that happens. It is necessary to assure ourselves that God governs the fate of world and of each person. Life experiences are not long to prove and confirm this Gospel teaching. All things pass—both the bad and the good—and neither men, nor demons can do anything if God does not allow it. From living faith in God is born complete submission to God, and from submission to God is born peace in our thoughts and calm in our hearts. From seeing God’s Providence, in the soul develops profound meekness and unfailing love of neighbor, which no winds can disturb or agitate. God watches over the times, events in society, and personal fates. The vision of God’s Providence preserves and grows our faith in God. The Christian who keeps his gaze fixed upon God’s Providence preser-ves constant courage and unshakable steadfastness, even amidst terrible misfortunes. Before the sight of God’s Providence, not only can temporary sorrows not stand, but also those that await a person when he crosses the thre-shold into eternity beyond the grave. A Christian should never and for no reason worry, for God’s Provi-dence carries him in its arms. Our only care should be that we would ever remain faithful to the Lord. That one soldier has fallen does not mean the entire army is defeated. Do not be content with a mere fruitless reading of the Gospel; strive to fulfill its commandments, and read it with your deeds. This is the book of life, and it must be read by life. We will be judged according to the Gospel commandments at the jud-gment established by God for us Orthodox Christians… we will be jud-ged according to the Gospel, that carelessness in fulfilling the Gospel commandments is an active rejection of the Lord Himself. The Gospel is the image of the qualities of the new man, who is the Lord from the heavens (cf. 1 Cor. 15:48). This new man is God by nature. He makes His holy tribe of men, who believe in Him and are tran-sformed in accordance with Him, gods by grace. Humility, love, meekness, and so it would follow, all the holy com-mandments of Christ are a throne and resting place, so to say, for the Holy Spirit. Take counsel with the Gospels concerning your own thoughts as well as your neighbor’s thoughts and advice. The Holy Spirit effects purification in a person who expresses by his life the will for purification. Confessing God with the lips without confessing Him through deeds and the hidden life of the heart, through only a few external church rites and institutions, is recognized as empty, soul-destroying hypocrisy. The Commandments should be the soul of each Christian, and of Christian society. Spiritual discernment is acquired by reading the Holy Scriptures, first and foremost the New Testament, and reading the holy Fathers whose writings correspond to the type of life the Christian lives. It is necessary that reading be assisted by a way of life: Be ye doers of the word, and not hearers only, deceiving your own selves (James 1:22). Our abode in the sonship of God received through holy Baptism is up-held and continued by a life according to the Gospel commandments. This abiding in sonship is lost by departing from a life according to the Gospel commandments. It is necessary for salvation that the one who has been baptized into Christ should live according to the laws of Christ. Damage to humanity consists in the mixing of good with evil; healing consists in the gradual removal of evil, when it begins to act more than good in us.